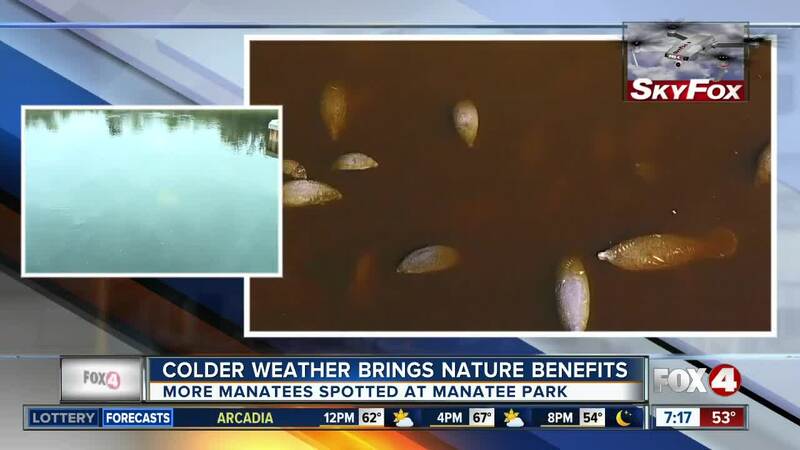 According to Manatee Park, many gentle sea cows can be spotted at the park in Fort Myers from now until February due to the colder weather. 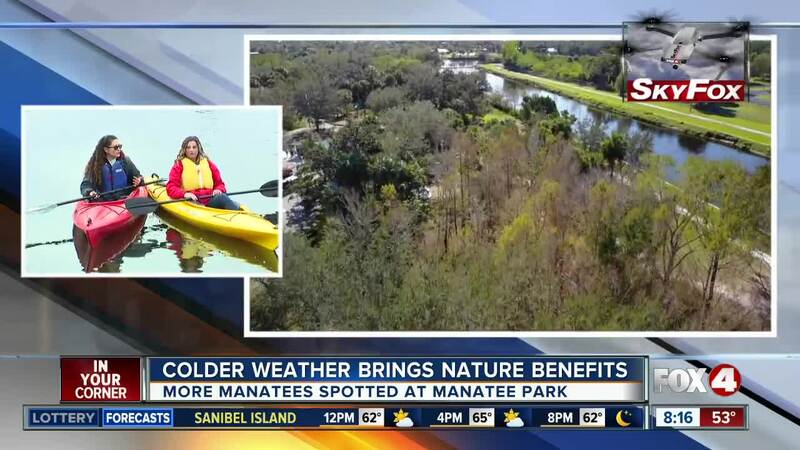 FORT MYERS, Fla. — FORT MYERS, Fla. -- According to Manatee Park , many gentle sea cows can be spotted at the park in Fort Myers from now until February due to the colder weather. 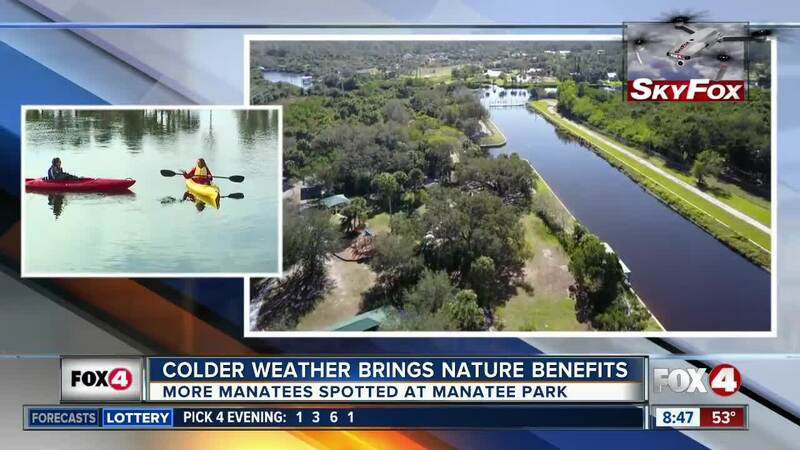 Manatee Park is a non-captive, warm water refuge for the Florida Manatee, especially when the Gulf is below 68 degrees Fahrenheit. 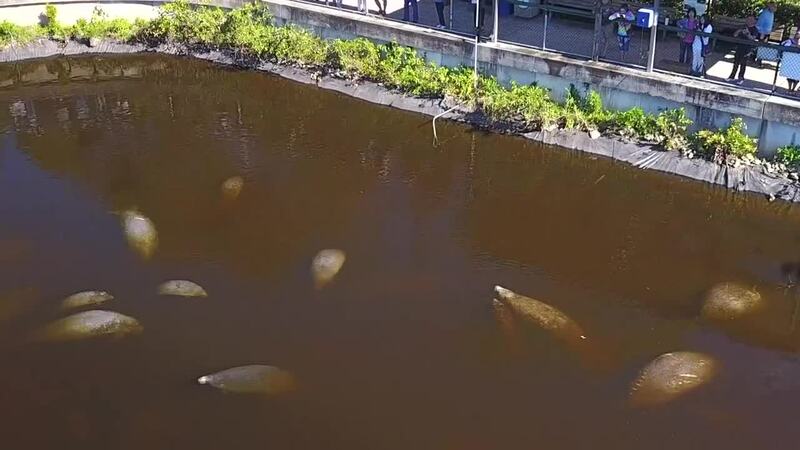 Manatees are drawn to this spot along the Orange River where warm water is released from a nearby Florida Power and Light power plant. The park is open seven days a week from 7 a.m. to dusk. It's located at 10901 State Road 80 in Fort Myers. They also have kayak and canoe rentals available. Call 239-481-4600 for the gift shop.